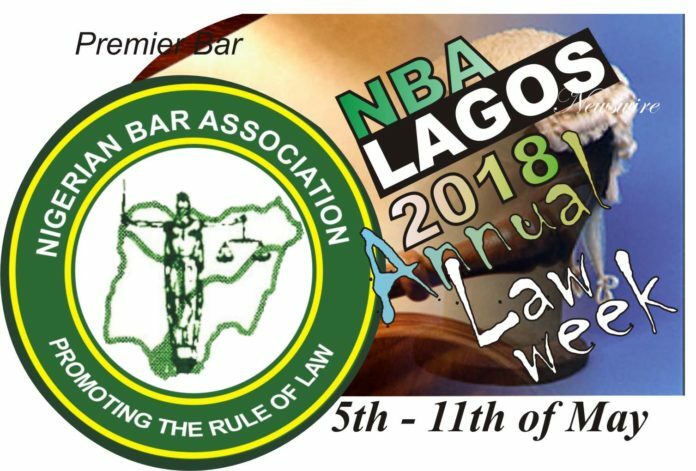 This is to inform NBA Lagos Branch members, interested legal practitioners from other branches and the general public that, “As the Premier Branch prepares for the 2018 edition of the Branch’s Annual Law Week scheduled for early May, 2018, the organizing committee have decided to extend registration till Wednesday 18th of April, 2018. 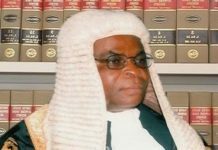 The announcement was made known by the chairman of the Law Week Organising Committee, Tola Oshobi, SAN. Oshobi, SAN, who is a partner at the law firm of Babalakin & Co. said they have outlined series of innovative and entertaining programmes for the upgrading participating persons at the event. 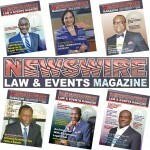 “The one week programme for this year’s Law Week is a full package with no exception,” he said. 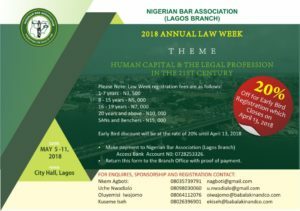 The theme for the Lagos Bar 2018 Annual Law week is “Human Capital and the Legal Profession in the 21st Century”. 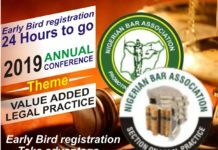 Apart from the Plenary Sessions, this year’s law week will witness special activities; Young Lawyers Session, Health Walk and Health Check, Ankara Rave Party, Elders’ Nite and the presence of over 40 selected speakers to educate participants and members with inspiring topics. The prestigious City Hall on Lagos Island is slated to host the opening ceremony, among other activities. Branch members and individuals are advised to take advantage of the extension of early registration and get a 20% discount rate. **Print out evidence of payment/payment slip and bring alongside your Registration Form to the NBA Lagos Branch Office at City Hall, Lagos Island, to obtain an official receipt. You may also register at the Branch Office via hassle-free POS payment. Please ensure that the payee’s name is the same as that of the intending conferee or participant. Again, the dates for this year’s NBA Lagos Branch Law Week are the 5th to 11th of May, 2018, at the prestigious City Hall, Lagos Island.